What is it? 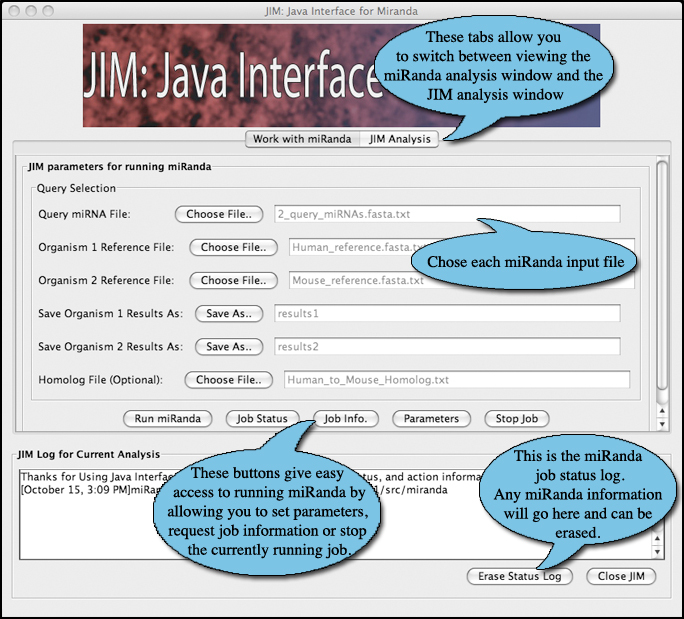 Java Interface for miRanda (JIM) is a graphical user interface for the miRanda algorithm. 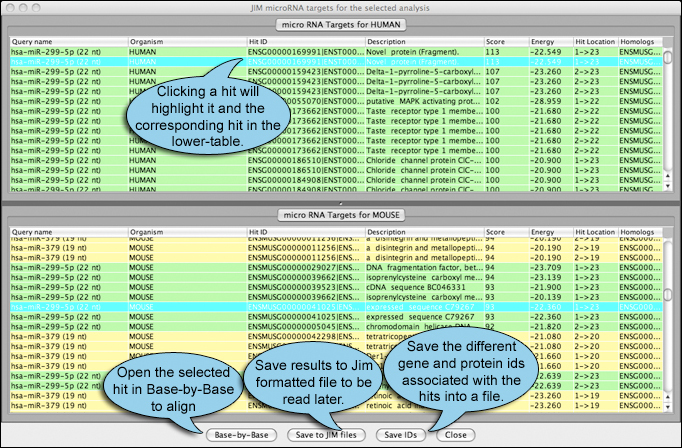 MiRanda is a prediction tool for microRNA targets and JIM presents the large amount of miRanda results in an easy to read, easy to analyze format. How do I get started? JIM can be accessed for free at www.virology.ca. Select JIM from the VBRC Tools drop-down menu (top left of the page) or Click here to go directly to the JIM page. Click the Launch Program button. JIM will be downloaded to your computer and Java Web Start will automatically start the program. What next? The main JIM window (below) will appear. From here you can select which viral database you wish to query. 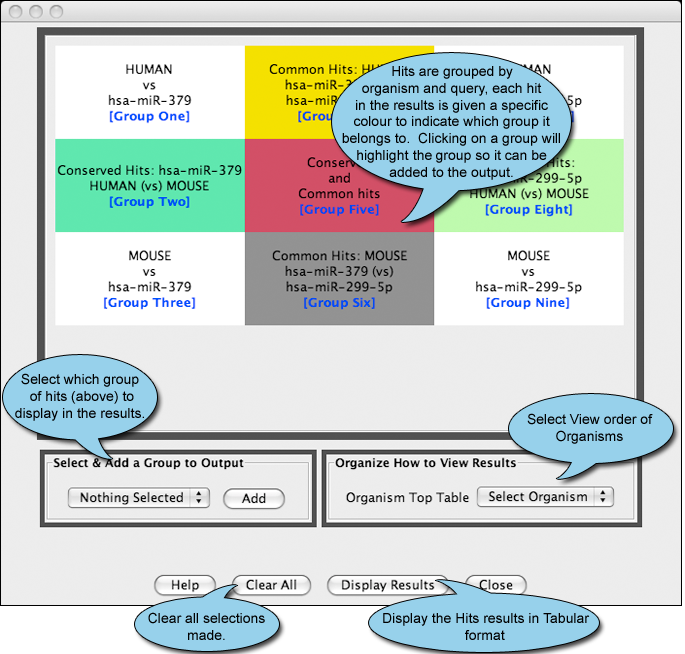 The following window will open, showing results grouped in easy to understand categories.